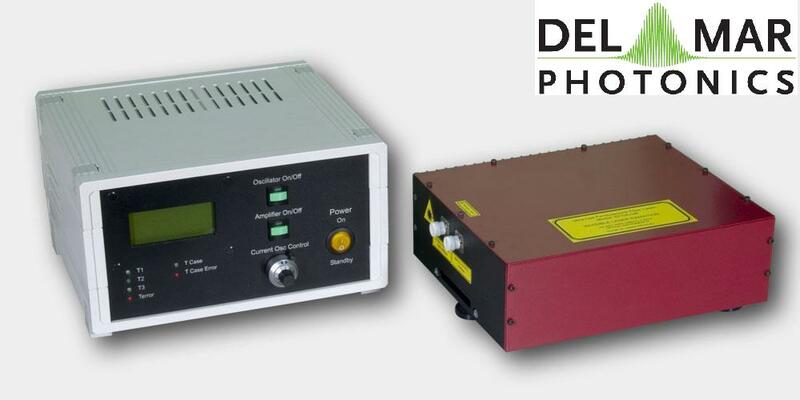 Del Mar Photonics - Del Mar Photonics Sale - Best price quarantee! Trestles LH is a new series of high quality femtosecond Ti:Sapphire lasers for applications in scientific research, biological imaging, life sciences and precision material processing. Trestles LH includes integrated sealed, turn-key, cost-effective, diode-pumped solid-state (DPSS). Trestles LH lasers offer the most attractive pricing on the market combined with excellent performance and reliability. DPSS LH is a state-of-the-art laser designed for today’s applications. It combines superb performance and tremendous value for today’s market and has numerous advantages over all other DPSS lasers suitable for Ti:Sapphire pumping. Trestles LH can be customized to fit customer requirements and budget. DPSS DMP LH series lasers will pump your Ti:Sapphire laser. There are LH series lasers installed all over the world pumping all makes & models of oscillator. Anywhere from CEP-stabilized femtosecond Ti:Sapphire oscillators to ultra-narrow-linewidth CW Ti:Sapphire oscillators. 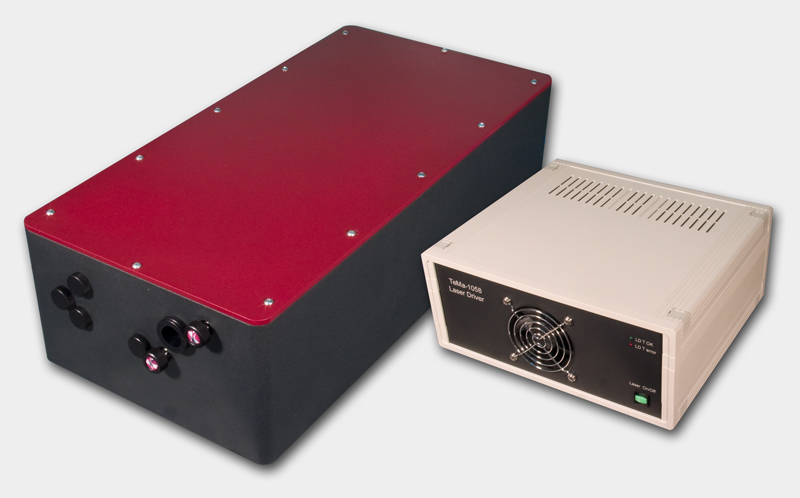 With up to 10 Watts CW average power at 532nm in a TEMoo spatial mode, LH series lasers has quickly proven itself as the perfect DPSS pump laser for all types of Ti:Sapphire or dye laser. The Pismo pulse picker systems is as a pulse gating system that lets single pulses or group of subsequent pulses from a femtosecond or picosecond pulse train pass through the system, and stops other radiation. The system is perfectly suitable for most commercial femtosecond oscillators and amplifiers. The system can pick either single pulses, shoot bursts (patterns of single pulses) or pick group of subsequent pulses (wider square-shaped HV pulse modification). HV pulse duration (i.e. gate open time) is 10 ns in the default Pismo 8/1 model, but can be customized from 3 to 1250 ns upon request or made variable. The frequency of the picked pulses starts with single shot to 1 kHz for the basic model, and goes up to 100 kHz for the most advanced one. The Pockels cell is supplied with a control unit that is capable of synching to the optical pulse train via a built-in photodetector unit, while electric trigger signal is also accepted. Two additional delay channels are available for synching of other equipment to the pulse picker operation. Moreover, USB connectivity and LabView-compatible drivers save a great deal of your time on storing and recalling presets, and setting up some automated experimental setups. One control unit is capable of driving of up to 3 Pockels cells, and this comes handy in complex setups or contrast-improving schemes. The system can also be modified to supply two HV pulses to one Pockels cell unit, making it a 2-channel pulse picker system. This may be essential for injection/ejection purposes when building a regenerative or multipass amplifier system. New laser spectrometer T&D-scan for research that demands high resolution and high spectral density in UV-VIS-NIR spectral domains - now available with new pump option! The T&D-scan includes a CW ultra-wide-tunable narrow-line laser, high-precision wavelength meter, an electronic control unit driven through USB interface as well as a software package. 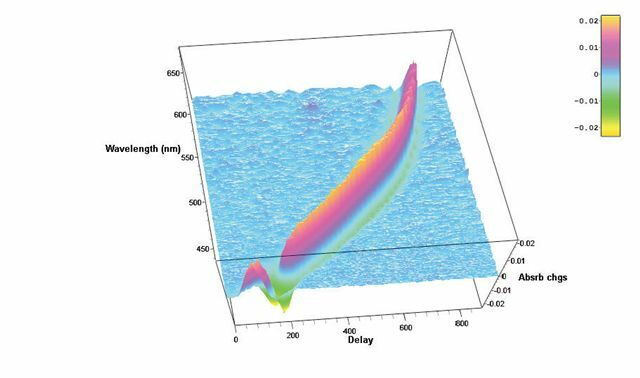 Novel advanced design of the fundamental laser component implements efficient intra-cavity frequency doubling as well as provides a state-of-the-art combined ultra-wide-tunable Ti:Sapphire & Dye laser capable of covering together a super-broad spectral range between 275 and 1100 nm. Wavelength selection components as well as the position of the non-linear crystal are precisely tuned by a closed-loop control system, which incorporates highly accurate wavelength meter. Femtosecond pulsed lasers are used in many fields of physics, biology, medicine and many other natural sciences and applications: material processing, multiphoton microscopy, «pump-probe» spectroscopy, parametric generation and optical frequency metrology. 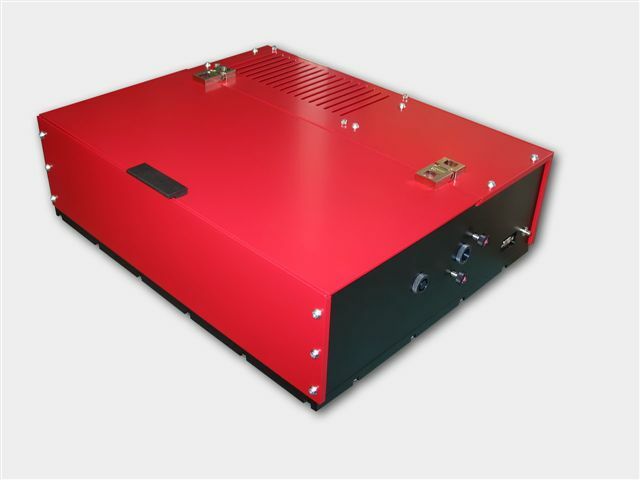 Femtosecond fiber lasers offer stable and steady operation without constant realignment. 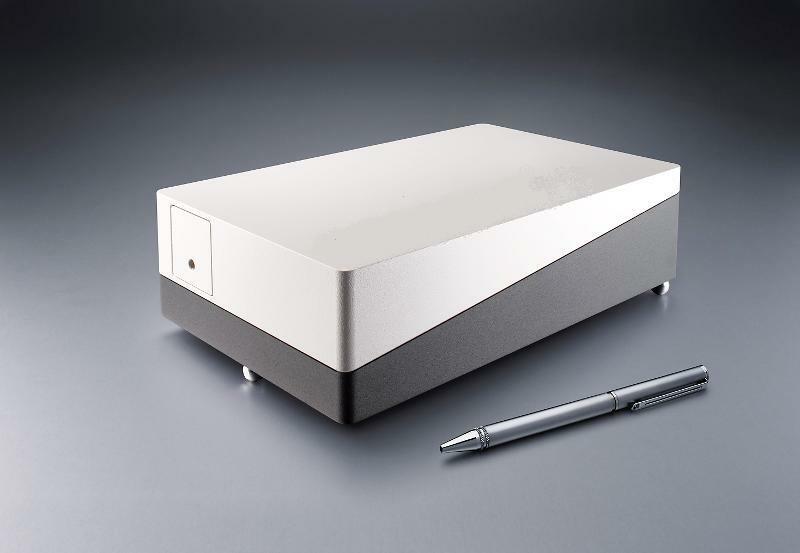 The Pearl-70P300 laser comprises: a passively mode-locked fiber laser, providing pulses with repetition rate 60 MHz and having duration of 250-5000 fs, an amplifier based on Er3+ doped fiber waveguide with pumping by two laser diodes, a prism compressor for amplified pulse compression. The autocorrelation technique is the most common method used to determine laser pulse width characteristics on a femtosecond time scale. The basic optical configuration of the autocorrelator is similar to that of an interferometer (Figure.1). An incoming pulse train is split into two beams of equal intensity. An adjustable optical delay is inserted into one of the arms. The two beams are then recombined within a nonlinear material (semiconductor) for two photon absorption (TPA). The incident pulses directly generate a nonlinear TPA photocurrent in the semiconductor, and the detection of this photocurrent as a function of interferometer optical delay between the interacting pulses yields the pulse autocorrelation function. The TPA process is polarization-independent and non-phasematched, simplifying alignment. Reef-RT autocorrelator measures laser pulse durations ranging from 20 femtoseconds to picosecond regime. It measures pulse widths from both low energy, high repetition rate oscillators and high energy, low repetition rate amplifiers. Compact control unit operates autocorrelator head and optional spectrometer through on-screen menus. Autocorrelation trace and spectrum can be displayed and analyzed on screen or downloaded to remote computer. Trestles FHG is designed to work with Ti:sapphire lasers, such as the Trestles Ti:sapphire laser to provide fourth harmonic generation. Trestles FHG is an affordable and easy solution to generating pulses around 200 nm. Trestles FHG is available in two versions. The first version uses the third harmonic mixed with the fundamental wavelength to produce fourth harmonic generation. This option provides the fundamental, as well as the second, third and fourth harmonics. For input of 810 nm, 1 W, 82MHz and 50 fs, output of the fourth harmonic is at 203 nm, 300-400 fs and power is 3 mW. The second option uses two separate second harmonic generation stages to produce fourth harmonic generation. With input of 810 nm, 1 W, 82 MHz and 50 fs, output of the fourth harmonic is at 210 nm, pulse width of 500 fs and power of 10 mW. The Trestles FHG from Del Mar Photonics is an easily installed solution for adding functionality to any femtosecond laser system. Extended ranges will increase capabilities for research, and specific applications such as microscopy and spectroscopy. High performance infrared monocular viewers are designed to observe radiation emitted by infrared sources. They can be used to observe indirect radiation of IR LED's and diode lasers, Nd:YAG, Ti:Sapphire, Cr:Forsterite, dye lasers and other laser sources. IR viewers are ideal for applications involving the alignment of infrared laser beams and of optical components in near-infrared systems. Near IR viewers sensitive to laser radiation up to 2000 nm. The light weight, compact monocular may be used as a hand-held or facemask mounted for hands free operation. Ultraviolet viewers are designed to observe radiation emitted by UV sources. Diffractive attenuators control the power of laser radiation using diffraction gratings. Since phase diffraction gratings do not absorb light they can be used for high-power laser radiation (CW, pulsed). Variation of grating parameters along the substrate results in variable transmission at a given wavelength. Diffractive Variable Attenuators are based on binary optics technology. Attenuator manufacturing starts from computer design of two-dimensional diffractive gratings using proprietary Diffraction Optics Design Software. Master Grating mask is created using high-resolution laser photo plotters. Final manufacturing process is accomplished using lithographic methods including plasma etching. Diffractive attenuators are designed for wavelength from deep UV till IR. Damage threshold for these high power attenuators is more than 250W/cm2 in CW and 1000 mJ/cm2 in 10ns pulses. 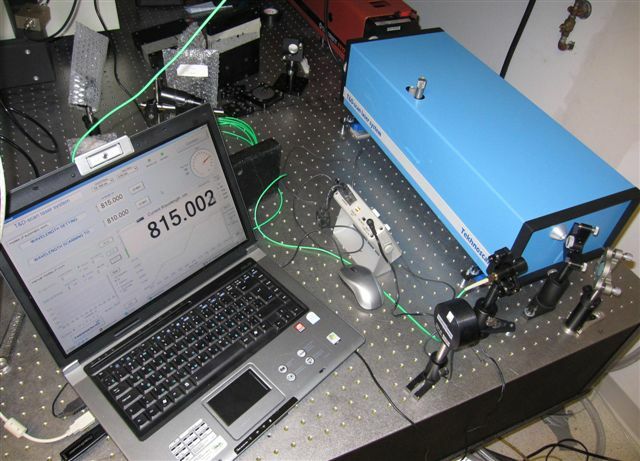 Del Mar Photonics offer a handheld infrared spectrometer based on the acousto-optic tunable filter (AOTF). This instrument is about the size and weight of a video camera, and can be battery operated. This unique, patented device is all solid-state with no moving parts. It has been sold for a wide variety of applications such as liquid fuel analysis, pharmaceutical analysis, gas monitoring and plastic analysis. Miniature AOTF infrared spectrometer uses a crystal of tellurium dioxide to scan the wavelength. Light from a light source enters the crystal, and is diffracted into specific wavelengths. These wavelengths are determined by the frequency of the electrical input to the crystal. Since there are no moving parts, the wavelength scanning can be extremely fast. In addition, specific wavelengths can be chosen by software according to the required algorithm, and therefore can be modified without changing the hardware. After the infrared radiation reflects off of the sample, it is converted into an electrical signal by the detector and analyzed by the computer. Del Mar Photonics is looking for international distributors for RAVEN - AOTF IR spectrometer for plastic identification and for variety of scientific and industrial collaborations to explore futher commercial potential of AOTF technology. Open Microchannel Plate Detector MCP-MA25/2 - now in stock! Microchannel Plate Detectors MCP-MA series are an open MCP detectors with one or more microchannel plates and a single metal anode. They are intended for time-resolved detection and make use of high-speed response properties of the MCPs. MCP-MA detectors are designed for photons and particles detection in vacuum chambers or in the space. MCP-MA detectors are used in a variety of applications including UV, VUV and EUV spectroscopy, atomic and molecular physics, TOF mass–spectrometry of clusters and biomolecules, surface studies and space research. 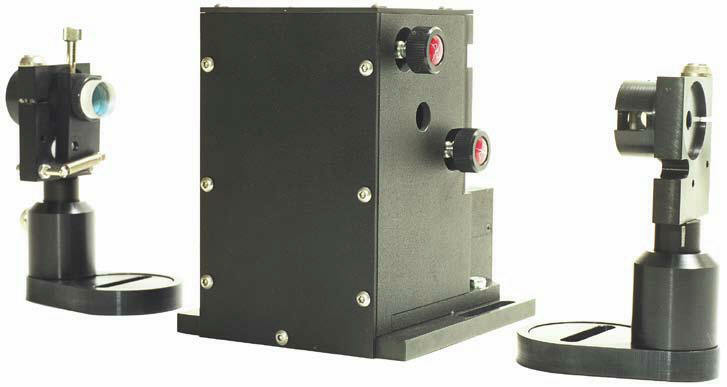 The digital Hummingbird EMCCD camera combines high sensitivity, speed and high resolution. It uses Texas Instruments' 1MegaPixel Frame Transfer Impactron device which provides QE up to 65%. Hummingbird comes with a standard CameraLink output. It is the smallest and most rugged 1MP EMCCD camera in the world. It is ideally suited for any low imaging application such as hyperspectral imaging, X-ray imaging, Astronomy and low light surveillance. It is small, lightweight, low power and is therefore the ideal camera for OEM and integrators. Future nanostructures and biological nanosystems will take advantage not only of the small dimensions of the objects but of the specific way of interaction between nano-objects. The interactions of building blocks within these nanosystems will be studied and optimized on the femtosecond time scale - says Sergey Egorov, President and CEO of Del Mar Photonics, Inc. Thus we put a lot of our efforts and resources into the development of new Ultrafast Dynamics Tools such as our Femtosecond Transient Absorption Measurements system Hatteras. Whether you want to create a new photovoltaic system that will efficiently convert photon energy in charge separation, or build a molecular complex that will dump photon energy into local heat to kill cancer cells, or create a new fluorescent probe for FRET microscopy, understanding of internal dynamics on femtosecond time scale is utterly important and requires advanced measurement techniques. Reserve a spot in our Ultrafast Dynamics Tools training workshop in San Diego, California. Beacon together with Trestles Ti:sapphire oscillator, second and third harmonic generators. Femtosecond optical gating (FOG) method gives best temporal resolution in light-induced fluorescence lifetime measurements. The resolution is determined by a temporal width of femtosecond optical gate pulse and doesn't depend on the detector response function. Sum frequency generation (also called upconversion) in nonlinear optical crystal is used as a gating method in the Beacon femtosecond fluorescence kinetic measurement system. We offer Beacon-DX for operation together with Ti: sapphire femtosecond oscillators and Beacon-DA for operation together with femtosecond amplified pulses. 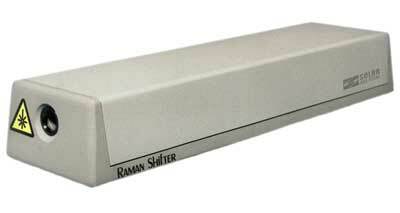 The Solid State Raman Shifter LZ series uses innovative technology Ba(NO3)2 (shift 1047 cm-1) and KGdWO4 (shift 767.3 and 901.5 cm-1) crystals. The crystals’ unique properties allow their application for Raman frequency conversion ranging from VIS to IR. The nonlinear crystal placed in the optimized cavity ensures high conversion efficiency of the the pump radiation to the 1st, 2nd or 3rd order Stokes, alongside with low generation thresholds. Upon your order mirrors can be installed into the LZ221 Shifter for obtaining definite Stokes, as well as for receiving the multi-line output (generating several components simultaneously) with the total conversion efficiency more than 50%. 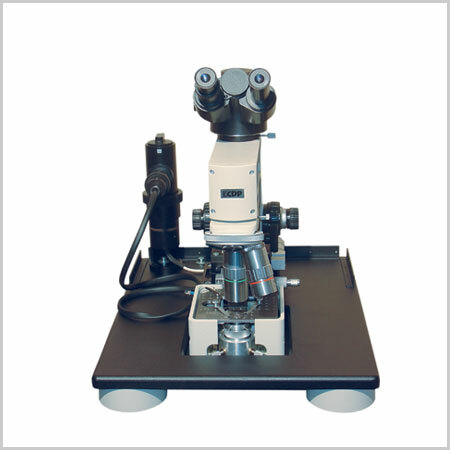 The design of this device minimizes the needs for user adjustments and allows to easily replace cavity mirrors while re-aligning the Raman Shifter from one wavelength to another. A family of ShaH wavefront sensors represents recent progress of Del Mar Photonics in Shack-Hartmann-based technology. The performance of Shack-Hartmann sensors greatly depends on the quality of the lenslet arrays used. Del Mar Photonics. 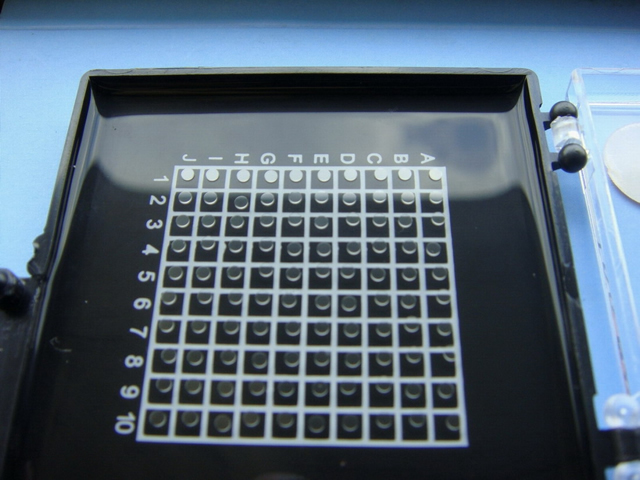 developed a proprietary process of lenslet manufacturing, ensuring excellent quality of refractive lenslet arrays. The arrays can be AR coated on both sides without interfering with the micro-lens surface accuracy. Another advantage of the ShaH wavefront sensors is a highly optimized processing code. This makes possible real-time processing of the sensor data at the rate exceeding 1000 frames per second with a common PC. Due to utilizing low-level programming of the video GPU, it is possible to output the wavefront data with a resolution up to 512x512 pixels at a 500+ Hz frame rate. This mode is favorable for controlling modern LCOS wavefront correctors. 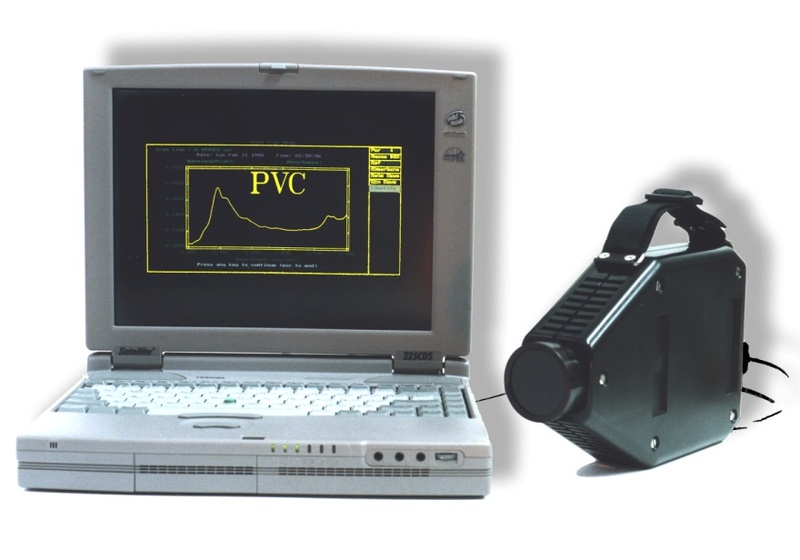 The family of ShaH wavefront sensors includes several prototype models, starting from low-cost ShaH-0620 suitable for teaching laboratory to a high-end high-speed model, ShaH-03500. The latter utilizes a back-illuminated EM-gain CCD sensor with cooling down to -100°C. This makes it possible to apply such a wavefront sensor in astronomy, remote sensing, etc. 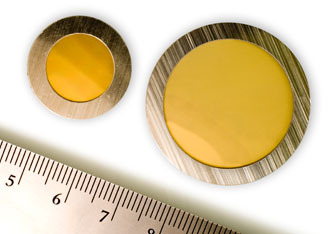 New band pass and long pass THz optical filters based on porous silicon and metal mesh technologies. with clear aperture diameters from 12.5 to 37.5 mm. better, standard designs at 19.0 and 25.4 mm diameters. iPCA with LT-GaAs absorber, microlens array for laser excitation wavelengths l £ 850 nm, adjusted hyperhemispherical silicon lens with a high power conversion efficiency of 0.2 mW THz power / W optical power. The iPCA can be used also as large area THz detector. The two types iPCAp and iPCAs have the same active interdigital antenna area but different contact pad directions with respect to the electrical THz field. IntraStage lowers the cost of test data management! Struggling with gigabytes or terabytes of test data? IntraStage easily transforms test data from disparate sources into web-based quality metrics and engineering intelligence you can use. Contact us today to discuss your test management requirements and specifications of your application. Del Mar Photonics has presented training workshops for customers and potential customers in the past 3 years. Our workshops cover scientific basics, technical details and provide generous time for hands-on training. Each workshop is a three-day seminar conducted by professional lecturer from 10am to 4pm. It includes lunch, as well as a training materials. We have also reserved two days for Q&A sessions, one-on-one system integration discussions, social networking, and San Diego sightseeing. Del Mar Photonics offers new Trestles fs/CW laser system which can be easily switched from femtosecond mode to CW and back. Having both modes of operation in one system dramatically increase a number of applications that the laser can be used for, and makes it an ideal tool for scientific lab involved in multiple research projects. Kaelyn Leake is a PhD student in Electrical Engineering. She graduated from Sweet Briar College with a B.S. in Engineering Sciences and Physics. Her research interests include development of nanoscale optofluidic devices and their applications. Kaelyn is the recipient of a first-year QB3 Fellowship. In this video Kaelyn talks about her experimental research in nanoscale optofluidics to be done with Trestles LH laser. 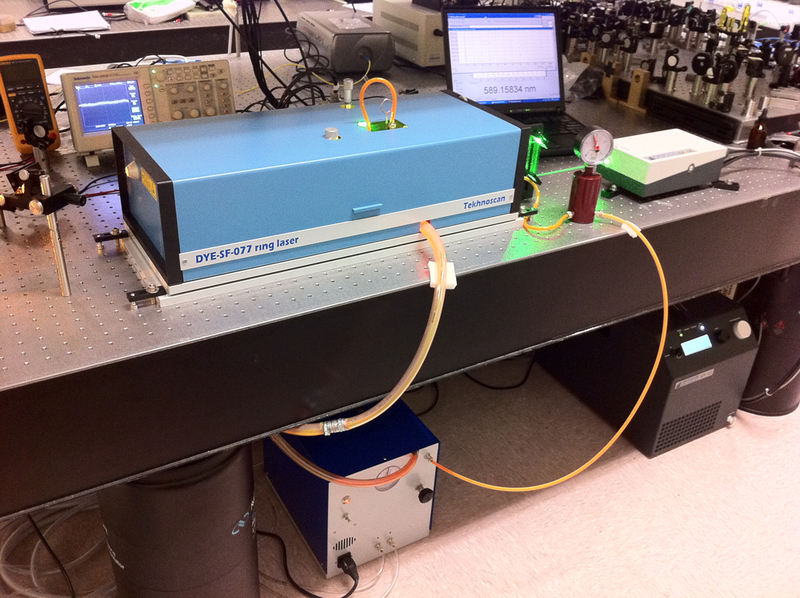 Frequency-stabilized CW single-frequency ring Dye laser DYE-SF-077 pumped by DPSS DMPLH laser installed in the brand new group of Dr. Dajun Wang at the The Chinese University of Hong Kong. Watch Del Mar Photonics videos! Del Mar Photonics is now on Twitter! Del Mar Photonics continuously expands its components portfolio. 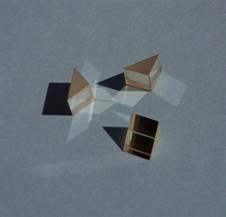 Del Mar Photonics design custom Concentrating Photovoltaic Systems (CPV) and supply variety of the optical components for CPV such as solar prisms shown in the picture. Axicon lens also known as conical lens or rotationally symmetric prism is widely used in different scientific research and application. Axicon can be used to convert a parallel laser beam into a ring, to create a non diffractive Bessel beam or to focus a parallel beam into long focus depth. Del Mar Photonics supplies axicons with cone angles range from 130° to 179.5° for use with virtually any laser radiation. We manufacture and supply axicons made from BK7 glass, fused silica and other materials. 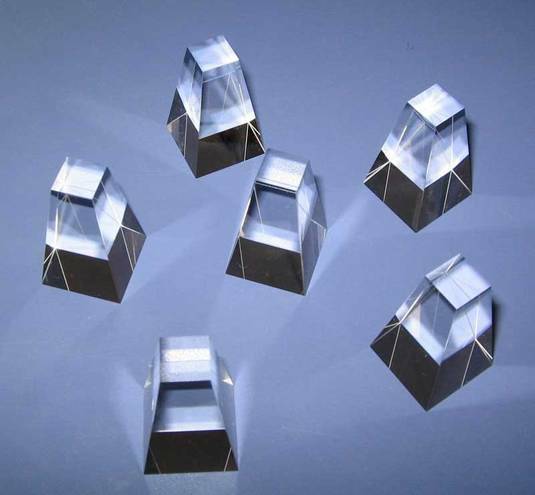 Del Mar Photonics offers optical elements made of high quality synthetically grown Rutile Titanium Dioxide crystals. Rutile’s strong birefringency, wide transmission range and good mechanical properties make it suitable for fabrication of polarizing cubes, prisms and optical isolators. Boules having high optical transmission and homogeneity are grown by proprietary method. Typical boules have 10 - 15 mm in dia. and up to 25 mm length. Optical elements sizes - from 2 x 2 x 1 mm to 12.7 x 12.7 x 12.7 mm. Laser grade polish quality is available for finished elements. So far we the largest elements that we manufactured are 12 x15 x 5 mm, in which optical axis is parallel to 15 mm edge, 5 mm is along beam path, 12 x 15 mm faces polished 20/10 S/D, one wave flatness, parallelism < 3 arc.min. (better specs. available on request). Lithium Tantalate exhibits unique electro-optical, pyroelectric and piezoelectric properties combined with good mechanical and chemical stability and , wide transparency range and high optical damage threshold. This makes LiTaO3 well-suited for numerous applications including electro-optical modulators, pyroelectric detectors, optical waveguide and SAW substrates, piezoelectric transducers etc. Del Mar Photonics offer a range of competitively priced UHV viewports , Conflat, ISO or KF including a variety of coatings to enhance performance. 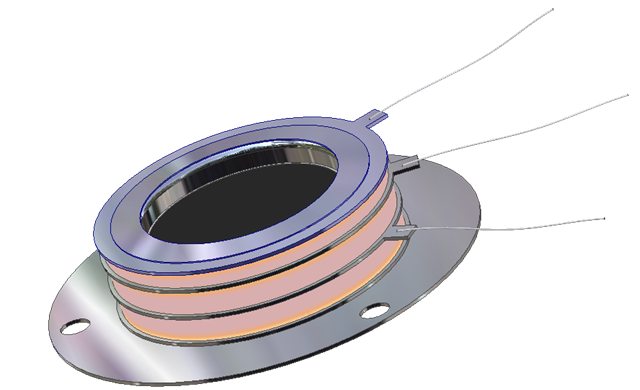 Del Mar Photonics viewports are manufactured using advanced techniques for control of special and critical processes, including 100 percent helium leak testing and x-ray measurements for metallization control. Windows Materials include: Fused silica, Quartz , Sapphire , MgF2, BaF2, CaF2, ZnSe, ZnS, Ge, Si, Pyrex. Standard Viewing diameters from .55" to 1.94 ". NARROW-BAND HOLOGRAPHIC FILTERS are intended for suppression of powerful beams in research and in engineering, in particular, in laser spectroscopy, and also for protection from blinding and damaging by laser radiation various photo receiver devices and operator's eyes. Unlike conventional interference filters, which are made by vacuum evaporation techniques, holographic filters are fabricated by recording interference patterns formed between two mutually coherent laser beams. Since all layers are recorded simultaneously within a thick stack, the optical density of the notch filter is high and its spectral bandwidth can be extremely narrow. 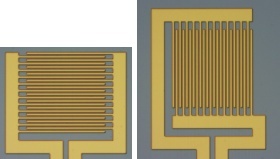 Also, since the layering profile is sinusoidal instead of square wave, holographic notch filters are free from extraneous reflection bands and provide significantly higher laser damage thresholds. 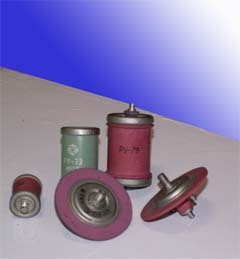 Triggered Three-Electrode Spark Gap Switches are ceramic-metal sealed off gas discharge trigatron-type devices with a co-axial trigger electrode. These Gas Discharge Tubes contain no mercury and, due to an advanced design, feature high reliability and a long lifetime being operating under wide range of environmental conditions. NOTE: Thyratron operate at pulse repetition rate to 50000 pulse/s on condition of decrease pulse and average power. 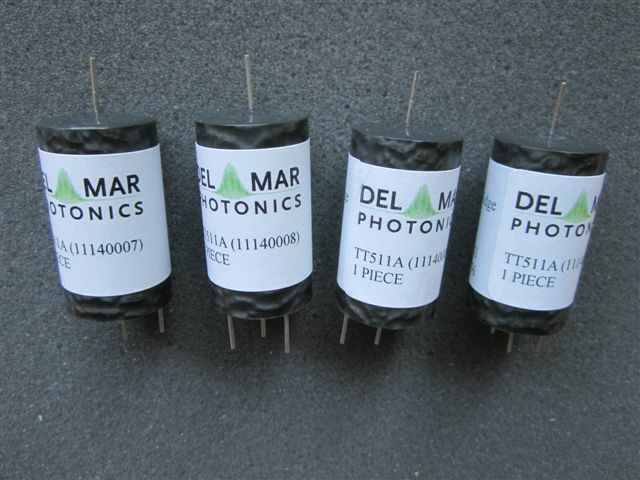 Del Mar Photonics supply trigger transformers for triggered spark gaps and other applications. Contact us to today to discuss your application or requesta quote. Trigger Transformers are used to provide a fast high voltage pulse up to 30kV/µs and more. This high voltage pulse is applied to the trigger electrode to initiate switching action in the three-electrode spark gaps. Either positive or negative pulses can be obtained from all of the transformers. We are looking forward to hear from you and help you with your optical and crystal components requirements. Need time to think about it? 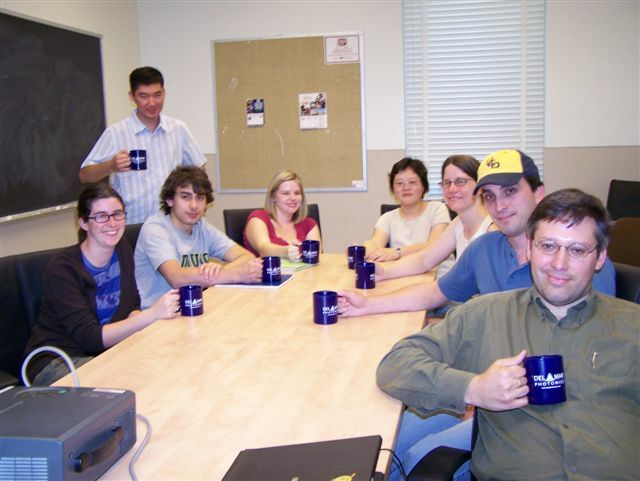 Drop us a line and we'll send you beautiful Del Mar Photonics mug (or two) so you can have a tea party with your colleagues and discuss your potential needs. Sign Up Today to receive Del Mar Photonics newsletter!